Welcome to New Orleans Moveable Type, a fully functional letterpress print shop built into the back of a converted 1982 Chevy step van! The 9+ month cross-country adventure comes to The Front and St. Claude Area this Saturday January 14th. 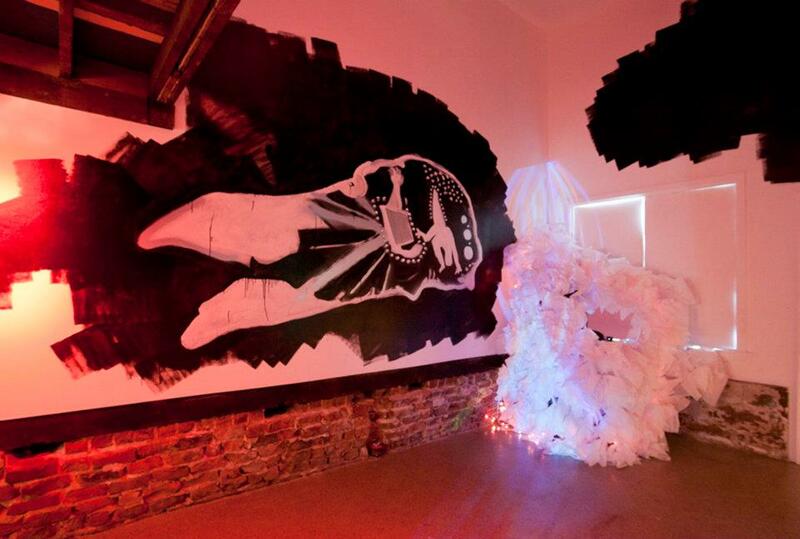 A new installation by artist Rachel Jones. 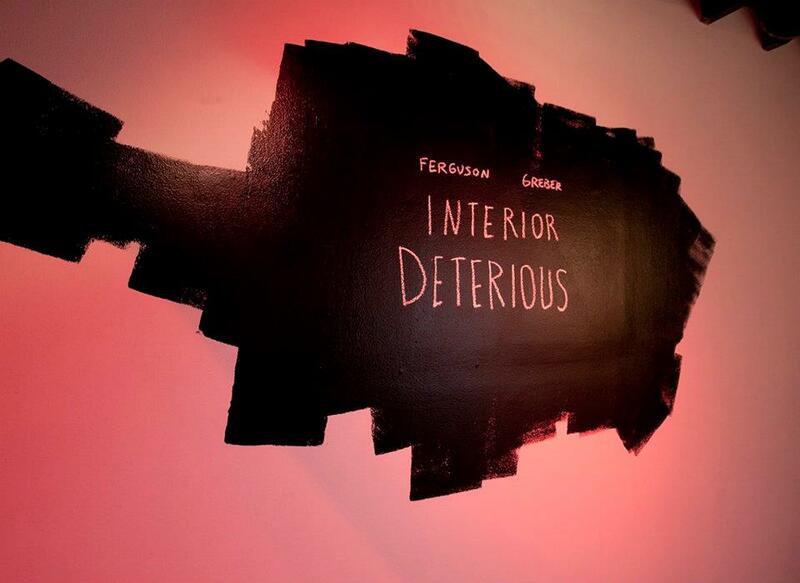 Interior Deterious is a collaborative multimedia installation by Front members Andrea Ferguson and Dave Greber. 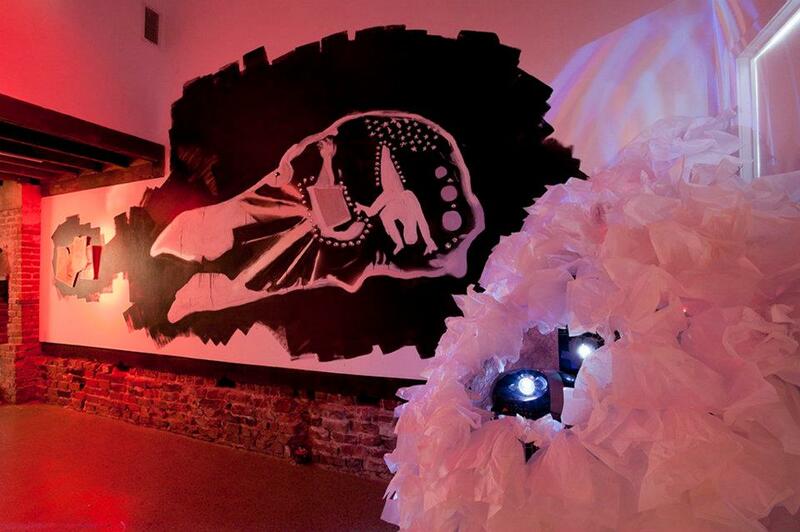 Rachel Avena Brown’s new installation entitled Nuclear Fusion is a depiction of fusion, a form of nuclear energy generated when lightweight atoms fuse together. The artist has illustrated the fusion reaction that occurs when deuterium and tritium combine to produce helium, a neutron, and excess energy. 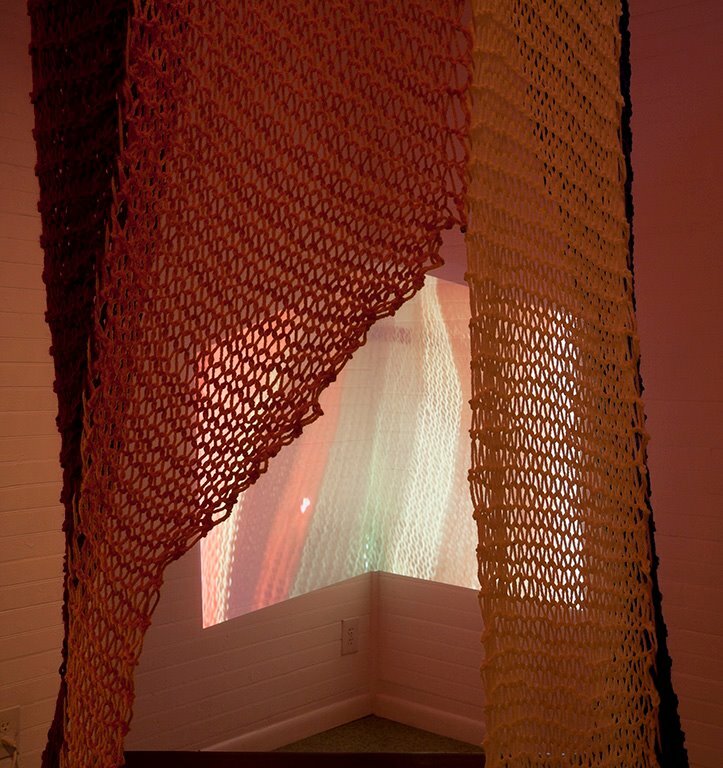 The positively charged protons and negatively charged electrons of each atom are represented, in this installation, through knitted yarn while excess energy can be seen in the form of a projected digital video. The artist writes: Nature, scientific diagrams and the study of the mind are informing my new projects. Patterns found in the universe are in constant connection with the human experience and condition these fractals are fixed and unchanging. Our understanding of nuclear fusion may remain the same, while time moves forward. Reoccurring patterning is possibly what relates us all to each other and informs our fundamental belief system. 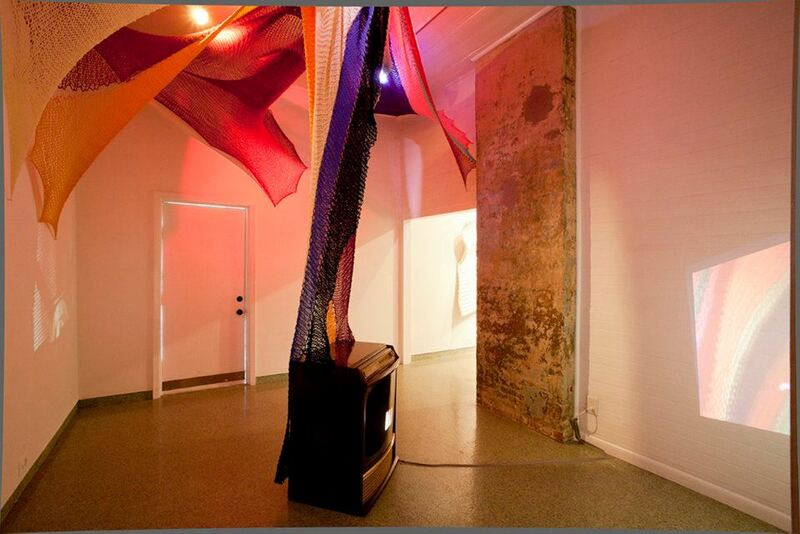 I am also making connections between knitting and digital pixel imaging. 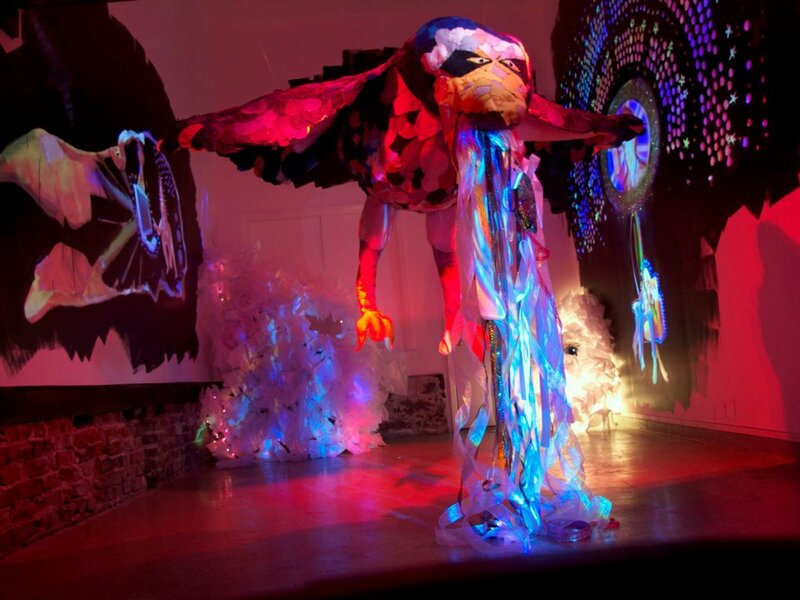 A multi-media installation by Stephanie Patton.